Earlier in February hospitality royalty gathered at the Museum of Contemporary Art to witness four of Australia’s finest bartenders’ strain, stir and shake it out in the Australian finals of the BACARDÍ Legacy Global Cocktail Competition 2018/19. 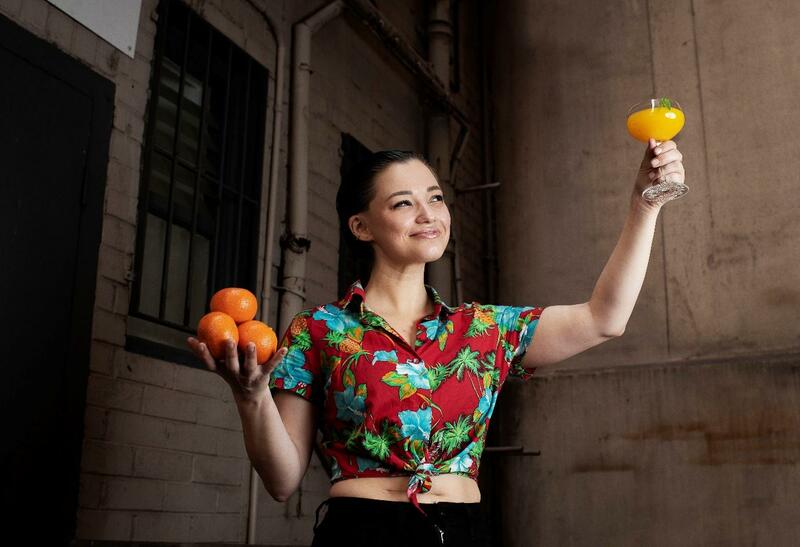 After much deliberation following tight presentations and delicious tipples, Jenna Hemsworth of Sydney’s Restaurant Hubert was announced victorious. Hemsworth’s drink, The Monarch was judged not only against its ingredients and methods used to create a stunning cocktail for the ages, but also the expertise in promoting the drink to the public. In the end, Hemsworth’s inspired use of BACARDÍ Carta Blanca coupled with a flair for promotion both on and off stage won the judges over – the full recipe for The Monarch can be found below. With this win, Hemsworth has added another influential name to her resume. After commencing bartending in Melbourne working for venues such as Cookie, Eau de Vie Melbourne, Bad Frankie, Vue de Monde and Black Pearl, she moved up to Sydney two years ago and has worked for Swillhouse, focusing on the Baxter Inn and Restaurant Hubert. Hemsworth is now off to Amsterdam in May on an all-expenses-paid journey to represent Australia and compete against the best bartenders from 48 countries, and potentially etch her country’s name into the bartending history books. The Monarch is easily replicated and can be made anywhere in the world - in a bar or at home and pays homage and champion the strong women in the hospitality industry - who too often go overlooked and underappreciated. This drink is about celebrating and highlighting their achievements inside the industry and out. The public will be able to try The Monarch from select bars around the country in March. - Shake all ingredients hard to properly infuse the peel and release the basil oils. Double strain and garnish with a young basil sprig.